A man walks out of an office building of Sinochem in Beijing, China February 21, 2017. 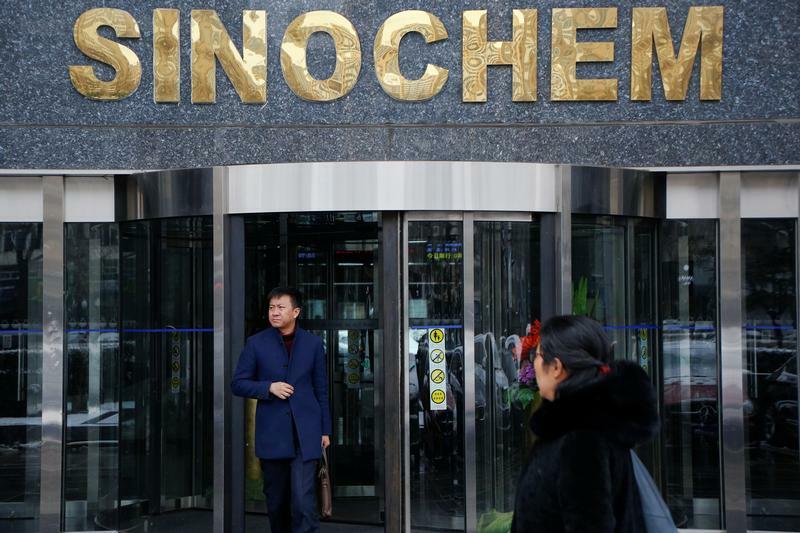 Sinochem Energy, a unit of Chinese state-owned oil and chemicals group Sinochem, has allowed its application for an initial public offering in Hong Kong to lapse, according to a Jan. 29 update on Hong Kong Exchanges and Clearing’s website. The company had sought to raise up to $2 billion from the IPO. However, it put the listing on hold late last year because early investor feedback suggested it was only likely to raise roughly $1.2 billion to $1.3 billion, Reuters reported on Jan. 30, citing a source with knowledge of the matter. The plan will be shelved for the next one to two years, the source added. Sinochem Energy operates in oil and petroleum products trading, refining and petrochemicals, storage and logistics. The offering was part of a broader reorganisation by Sinochem, which is widely expected by analysts and investors to merge with fellow state-owned giant ChemChina.